Staff satisfaction is the key to raising student satisfaction and helping to engage students in their learning. With more and more information available to prospective applicants, the growing importance of league tables, and competition between universities for a decreasing pool of applicants becoming ever more cut-throat, it seems like there is an ever increasing pressure on universities and their academics to keep students happy. There is nothing wrong with this. Providers should be offering a quality experience responsive to student expectations, respectful of their feedback, their understanding, and of their own needs as learners. Universities should also work more closely with students, and the commitment across the sector to the student engagement agenda is heartening. But with this focus on students, staff in our universities can feel demoralised and disempowered. A 2012 survey on occupational stress carried out by the University and College Union found that staff in British universities are more stressed now than in 2008, and experience considerably higher average levels of stress relating to the demands made on them at work than the British working population as a whole. Has the balance of power shifted from staff to students? Do academics increasingly feel under scrutiny from managers and under pressure to perform in the National Student Survey? Students rate in detail their satisfaction with their lecturers – the quality of teaching, their ability to explain the subject and make it interesting, their assessment and feedback on students' work, and their availability to students. Today's students often have as much to balance as the academics who teach them: paid work, career prospects, social and family lives as well as their academic study. But students' understanding of what constitutes good teaching may sometimes not be in their own best interests, and their expectations for support from staff may often not be realistic. Contact hours in particular can be a minefield of mismatched expectations. They may not always have a picture of what they need from higher education which can or should be met, and the lecturer face to face with student discontent can be in a difficult position. The difference between a complaint and feedback to lecturers can easily get confused, and staff on the receiving end can find this stressful. What we need to recognise in all of this is that there is a fundamental link between staff wellbeing and student satisfaction: engaged, committed staff will be those whose enthusiasm for their subject and their job shines through and rubs off on students. A balance needs to be struck. Student satisfaction and staff satisfaction are likely to improve together if providers recognise that balance and don't seek to widen what can be a toxic dichotomy between staff and student needs. A reduction in absenteeism and staff turnover are in themselves in the student interest. Besides, a lecturer able to concentrate happily on teaching without fearing complaint and reprisal is more likely to engage students and convey that love of learning which is the long-term legacy of successful higher education. Investment in staff wellbeing will pay dividends not just in satisfying students but in genuinely engaging them in their learning, in creating a partnership and dialogue between staff and students. What we should be aspiring to is not only reacting to student feedback, but proactively engaging them with shared decision making, shared attention to quality, and shared learning. 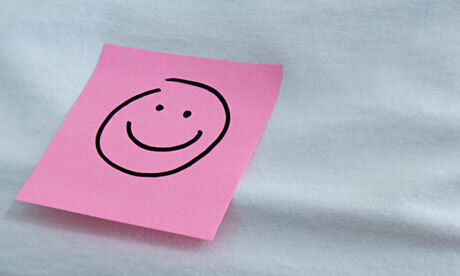 A contentious assertion, perhaps, but one which the sector would be wise to heed: staff satisfaction is the key to raising student satisfaction.